Exactly one week ago, fall descended on our little garden. The cow peas (AKA black-eyed peas) and beans were yanked to make room for the newest additions. 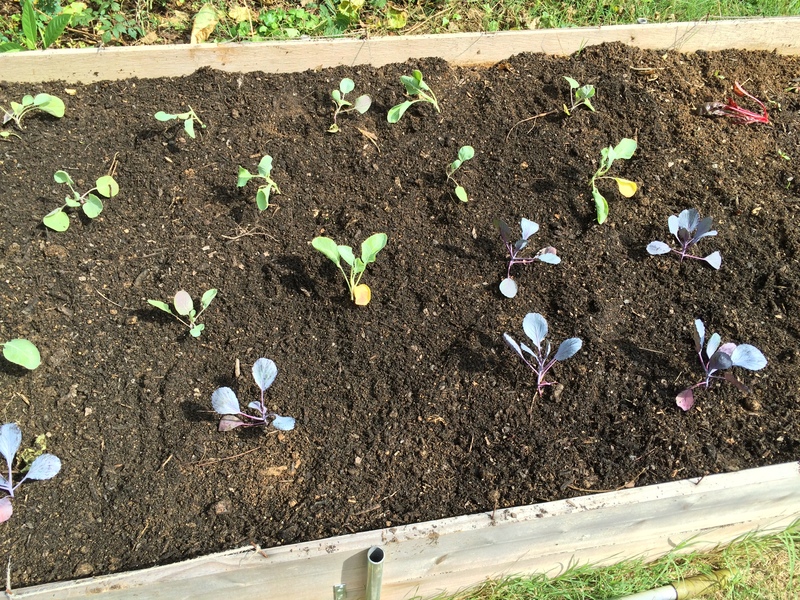 Six Brussels sprouts, cabbages, and cauliflower found a home in one of the raised beds. More carrots, leeks, daikon radishes, lettuce, Swiss chard, spinach, and rutabaga were planted in the sister bed and throughout the other planting areas.